BRONX, N.Y. — Call it the charge of the light brigade, New York City style. New York City FC sent shots to the right of the net, to the left of the goal, over the cage and sometimes right at goalkeeper Brad Knighton. 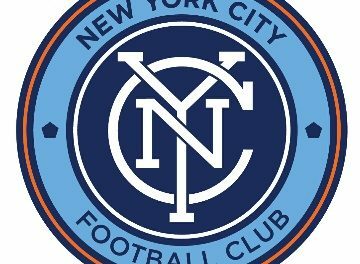 However, City could never solve the New England Revolution Wednesday night and walked off the Yankee Stadium field with a distressing 1-0 loss that probably hurt its chances of avoiding a first-round knockout game in the MLS playoffs. 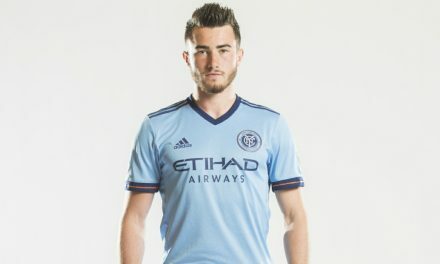 NYCFC has only won once in its last seven games (1-4-2). The match ended a pair of streaks. 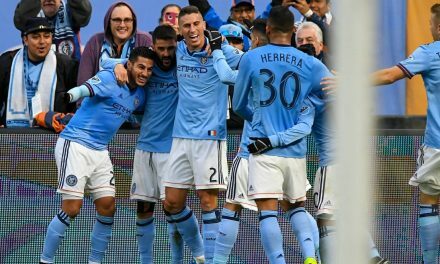 Third-place NYCFC (14-8-6, 48 points), which failed to make up ground on the idle Red Bulls (55 points), the Eastern Conference leaders, had its home unbeaten streak snapped at 13 games (10-0-3) this season. The top two teams in the conference get a bye in the knockout round. New England (8-10-9, 33 points), which oved into seventh place, also broke its nine-game winless streak. When asked if he thought the team has lost its way in recent games, head coach Domenec Torrent looked for the positive, that City played well at a hot and humid weekday night. Brian Wright, who had a goal disallowed due to an offside call 12 minute prior, broke the ice in the 71st minute. Cristian Penilla fired a shot that Johnson blocked. The rebound came out to Wright, who deposited the ball into the back of the net from close range. Wright, who had played all of 72 minutes over six matches entering the game, tallied his first goal of the year before a crowd of 18,884. The visitors came close to doubling their lead in the 80th minute when Isaac Angking rammed a shot off the left post. 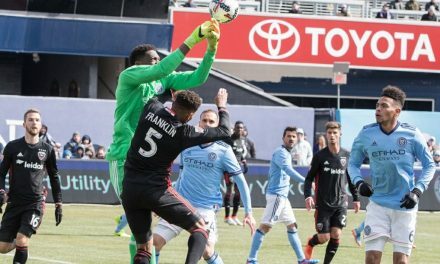 NYCFC started the game at a disadvantage with five regulars missing from the Starting XI. Defender Maxime Chanot (Luxembourg), forwards Rodney Wallace (Costa Rica) and Ismael Tajouri-Shradi (Libya) and midfielder Ebenezer Ofori (Ghana) are with their respective national teams for friendlies. Forward Jo Inge Berget is out with an adductor injury. The first half that harkened back to the early days of the league in which both defenses gave the opposition loads of room. However, lethal scoring opportunities were few and far between. In fact, New England hit the woodwork twice, although it happened to be at opposite ends of the first. While defending early on defender Michael Maurienne knocked a ball off the left post in front of his goalkeeper, Brad Knighton. Wright came close to giving his side the lead in the 25th minute when he banged an attempt off the left post. NYCFC had some goal-scoring opportunities, but either shot at Knighton, who also positioned himself well for the shots. Valentin Castellanos fired from point-blank range in the ninth minute, but his shot had very little mustard on it as Knighton gathered it in for an easy save. Alex Ring, better known for his defending as a central midfielder than as a shooter, had a pair of close encounters. His 10-yard shot was denied by Knighton in the 17th minute and he blasted a shot from distance over the crossbar in the 29th minute. City came out with a purpose in the second half, sending shots all over the place, including on goal on occasion. However, the hosts could not solve a porous New England defense or Knighton. “I have no doubt that if we create the same amount of opportunities, we’ll score three, four, five goals on another night,” Johnson said. “We played well enough to walk off that field victorious tonight, so it’s really easy to find the positive in tonight and the way we played, especially in the last couple minutes. NYCFC won’t have to wait too long. It hosts Wayne Rooney and D.C. United Saturday at 5 p.m.